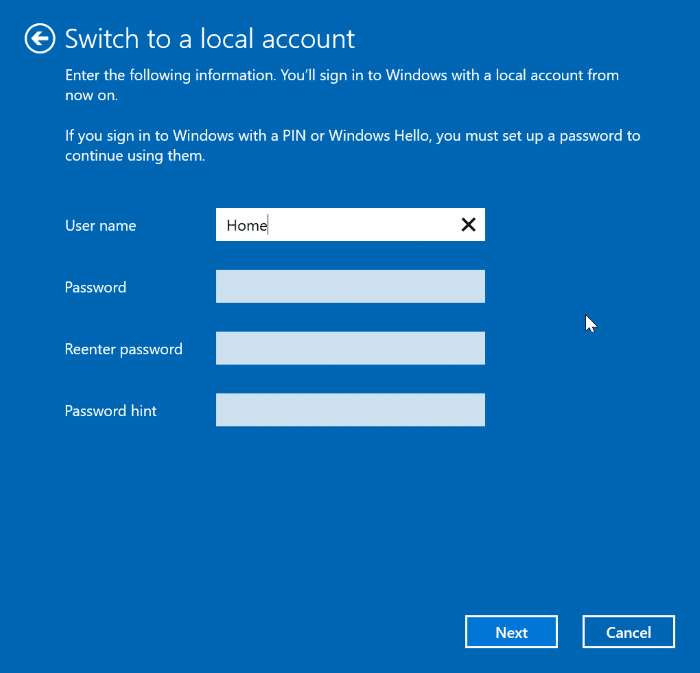 On Windows 10, one can either use a local user account or a Microsoft account to sign in. 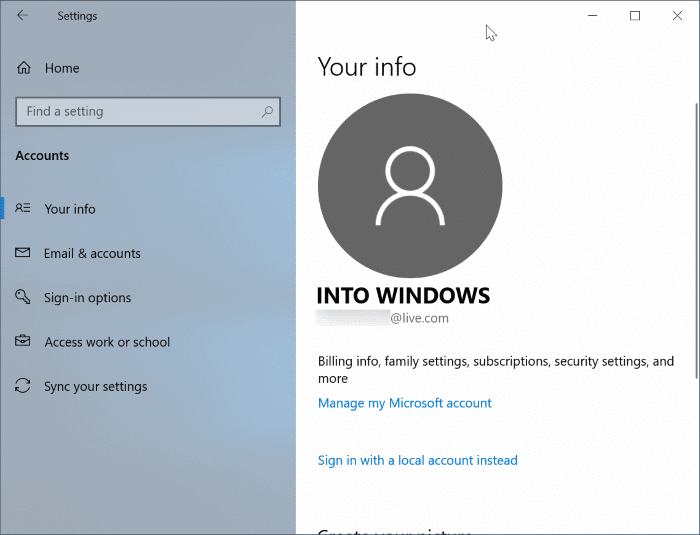 While both accounts have their own advantages and disadvantages, a significant number of Windows 10 users prefer Microsoft account over the local user account. If you are using a local or Microsoft account, at times, you might want to migrate between these accounts. 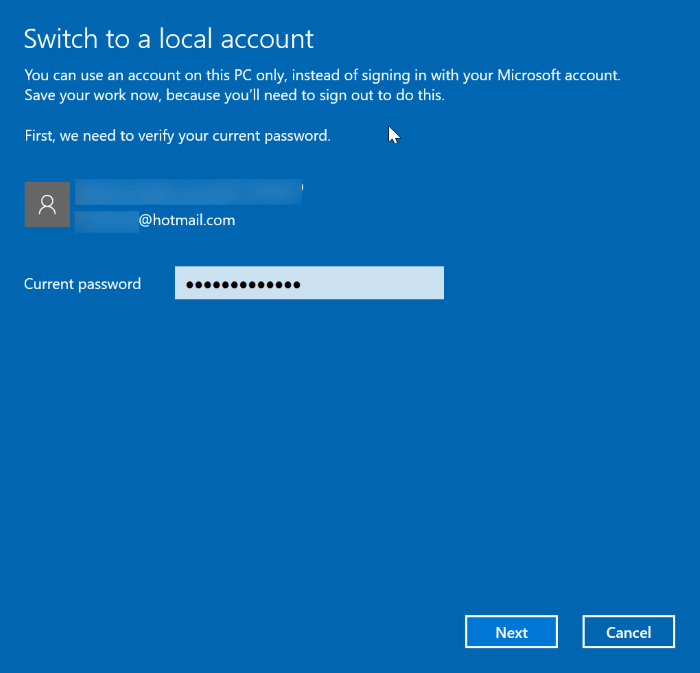 Luckily, switching between a local account and a Microsoft account is easy. 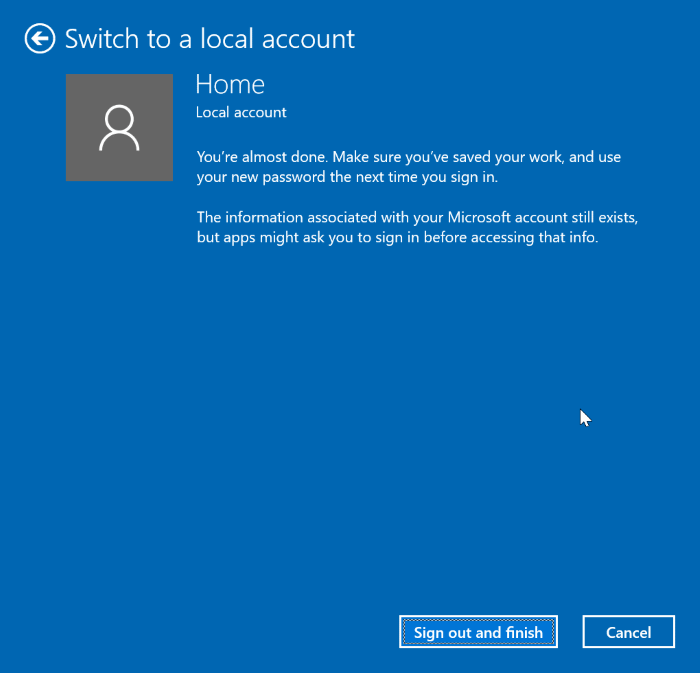 The best part is that you can switch between local and Microsoft accounts without losing your data and installed apps. 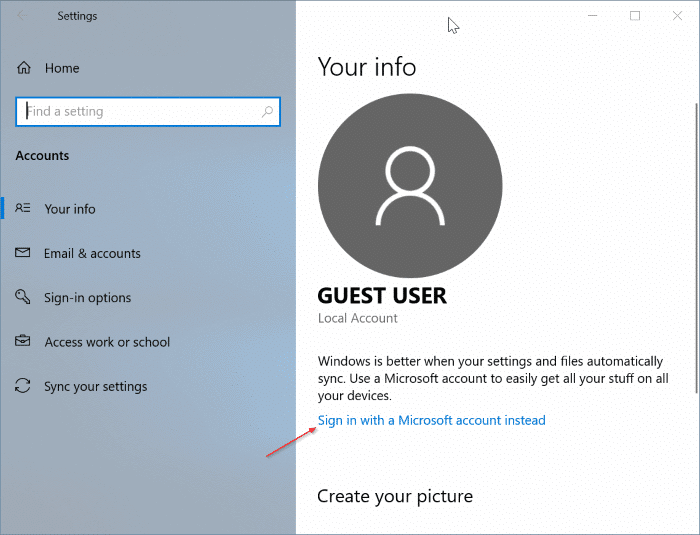 In this guide, we will discuss how to migrate from a Microsoft account to a local user account and vice versa in Windows 10. Step 1: Close all running programs. Navigate to Settings > Accounts > User info page. Step 2: Click on the link labeled Sign in with a local account instead to see Switch to a local account page. 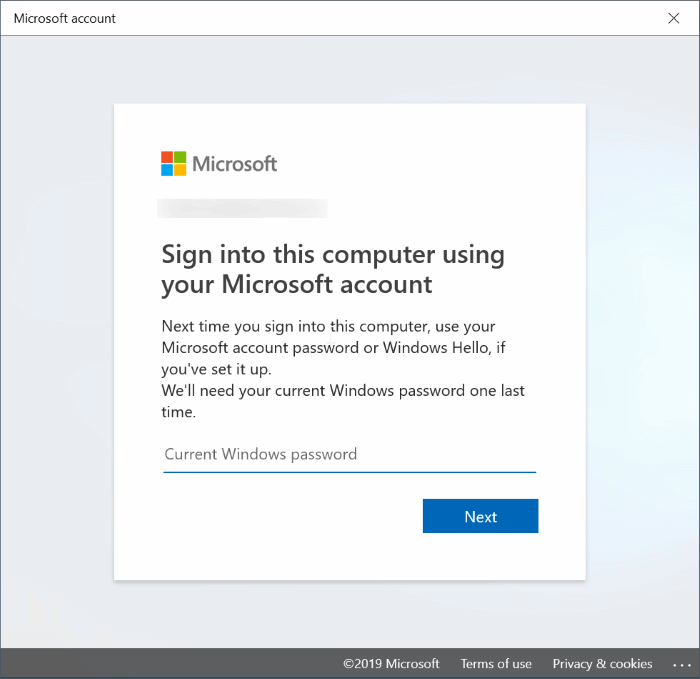 Step 3: Here, type in the Microsoft account password that you are currently signed in. Click on the Next button. Step 4: Next, you will get the following page where you enter a name for the local account, a password for the same (if you wish to protect your account with a password) and password hint. Click on the Next button proceed to the last step. 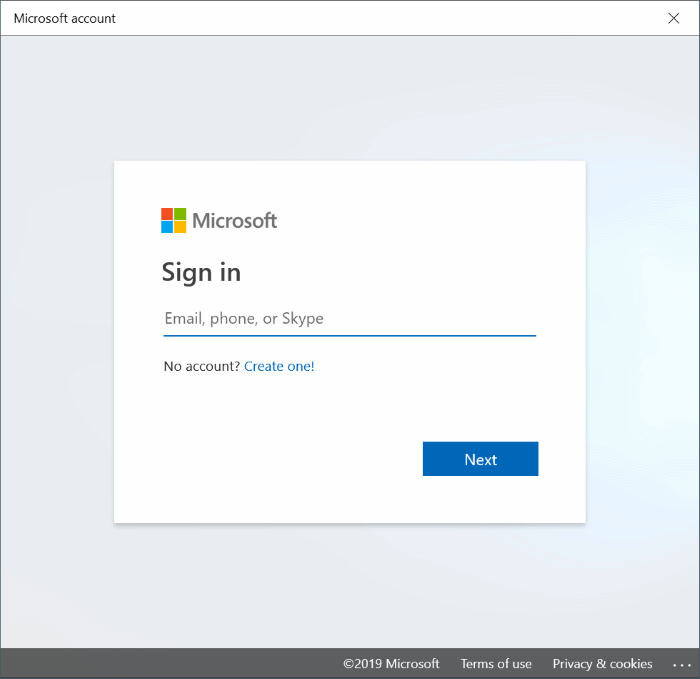 Step 5: Finally, click the Sign-out and finish button to sign out of the Microsoft account and migrate to the new local user account. You will now see the lock screen. Sign in to the local account to begin using it. Step 1: Navigate to Settings > Accounts > Your info page. Click on the Sign in with a Microsoft account instead link. 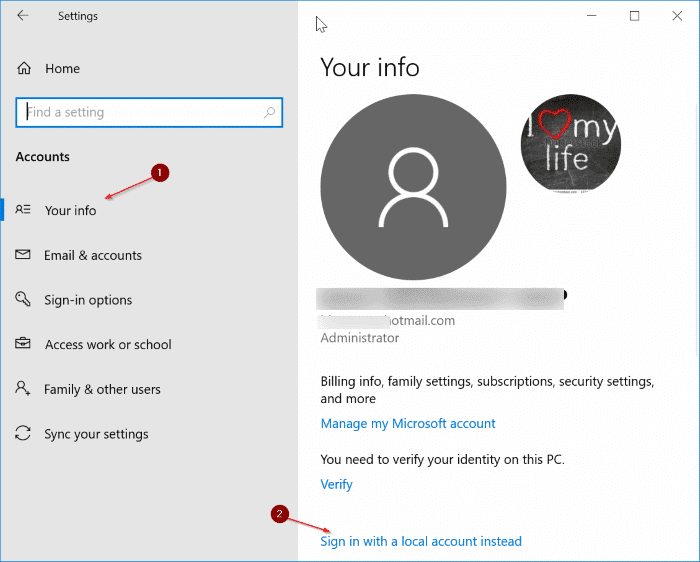 Step 2: Next, you will have to enter your Microsoft account email address and then click the Next button. Step 3: Type in the password for the entered Microsoft email address. Click on the Sign in button to continue. 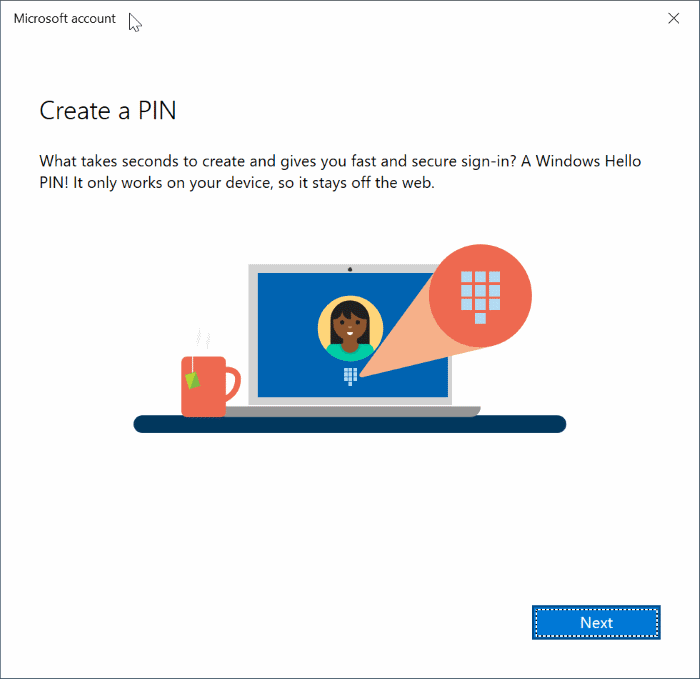 NOTE: If you have protected your Microsoft account with two-step verification, you will be asked to select the phone number or email address where you would like to receive the verification code. Enter the received verification code to continue. Step 4: You will now be asked to enter your current local account password. Please type the same and then click on the Next button. 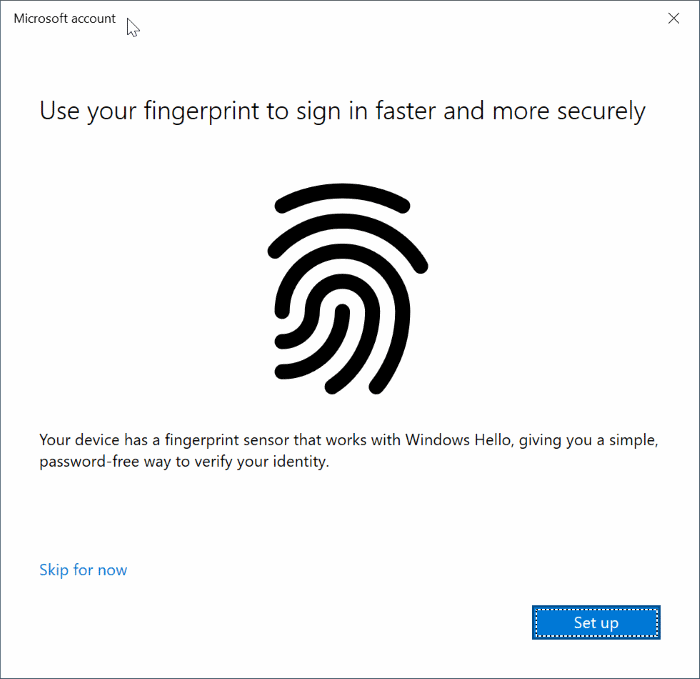 Step 5: If your PC is equipped with a fingerprint scanner, you might get the following screen asking you to use your fingerprint to sign in to Windows 10. If you are not interested, simply click on the Skip for now button. If you would like to add, click on the Setup button and then scan a finger (which you would like to use to sign in) on the fingerprint reader when asked to set up the fingerprint. 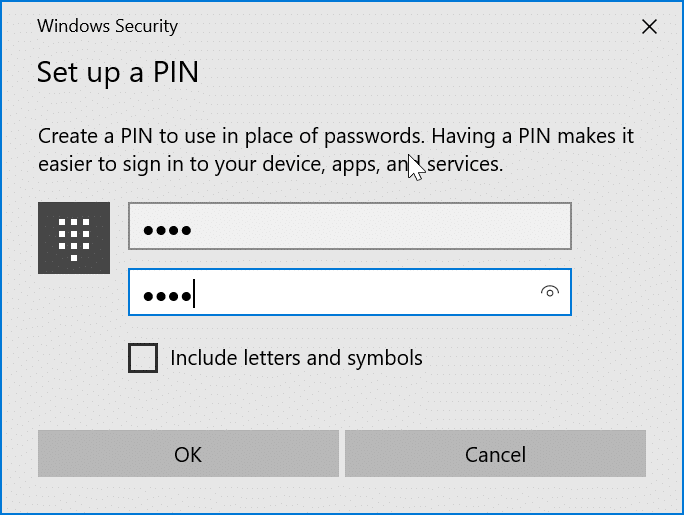 Step 6: Finally, you will be asked to Create a PIN for your Microsoft account. Click on the Next button and then enter a four-digit number and reenter the same. Click the OK button.